This project has been an ongoing lesson in electrical engineering. Now with an oscilloscope I can finally see a circuit’s behavior. The most interesting behavior happens with an AC signal. 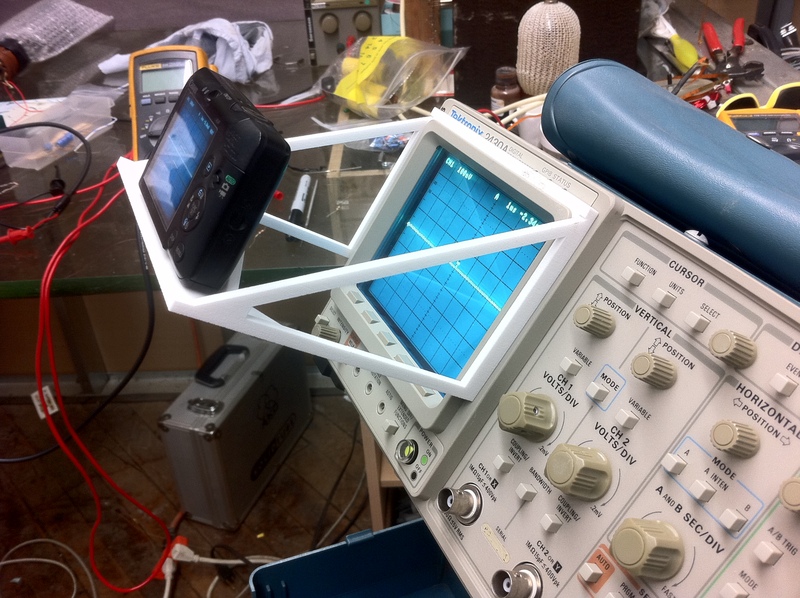 Conveniently the oscilloscope has a built in square wave generator intended for calibration. I am passing this square wave through test circuits to see how the wave changes. 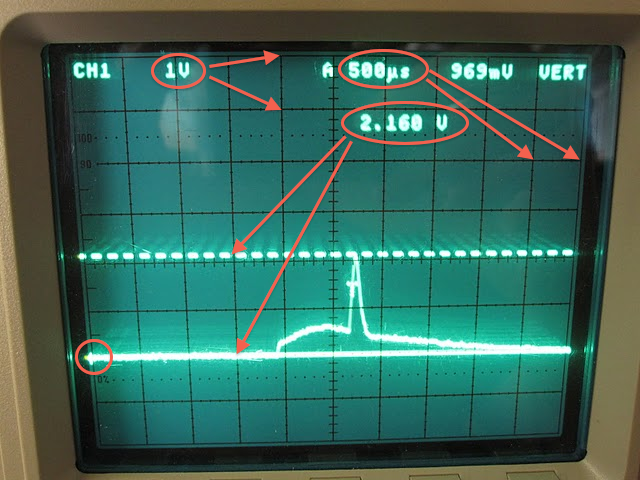 The oscilloscope generates a square wave that goes from ground to +0.4 V. The frequency ranges from 50 Hz to 5 MHz depending on the time setting. I start with 50 KHz. I use two probes. The first probe is connected to the signal source, the second probe is connected to various other points in the test circuit. The first thing to note is the signal generator doesn’t provide much power. If you overload the signal generator, you will see it’s voltage sag. Both probes ground to the oscilloscope chassis, so choosing appropriate ground points is crucial … incorrectly grounding a probe can drastically change the circuits behavior. In this capacitive coupling configuration a capacitor removes the DC component from an AC signal. Probe 2 shows the same signal as Probe 1, except shifted down. Probe 1 goes from 0 V to + 0.4V whereas probe 2 goes from -0.2 V to +0.2 V. So that’s what it looks like to block the DC component. Next I passed the square wave through a transformer. I’m using a variable resistor to limit the current into the transformer. In the US the mains power runs at 115V, 60 Hz. 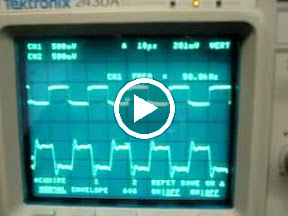 With an oscilloscope, I can see this mains hum everywhere. It radiates from the AC power lines throughout the lab and the whole city. Appearently our bodies make great antaneas for 60 hz: touching the oscilloscope probe shows a 9V RMS @ 60 Hz. Like a nine volt battery! From my body! I also noticed that the using the probe clip picks up more mains hum than just the probe tip. I’m learning how to use the scope. I suspect it will become my main measurement tool.